Hello my Dears…Welcome to my Monday Blog! What a wonderful birthday I just celebrated!! Oh no, not mine…His!! I’m pretty sure YOU were at the celebration, too!! This is the one birthday we never want to miss!! Why is this particular birthday so worth celebrating, anyway? Well, it’s this holy birthday that changed the world forever —for EVERYONE!! Most of us refer to Him as the Son of God, JESUS CHRIST; however, He’ll answer to any and all of the above— We need only to call on Him in earnest—Anytime! When we choose to make our lives better and truly live in Jesus Christ, we are capable of achieving incredible things. I believe the biggest obstacle we human beings have to overcome while attempting to “make things happen” is FEAR. You name it, we have fear written all over us.Think about your own personal situation…it’s a fact, Jack—Fear prevents us from trusting when we need to, far more than we want to admit. It’s true. Throw away what you’ve been cluttering. Unfollow negative people on social media or anywhere else they may pop-up. Do things that challenge you. Be deserving of Jesus’ undying Love, because He wants you to be happy on His Earth (this is the second most important achievement you will ever make in your Life!). our Superstar, Jesus Christ (the Miracle Worker…allow Him to work miracles in your Life). La Vie est Belle – Life is beautiful…even with all its perfect imperfections. This entry was posted in Uncategorized on December 27, 2016 by Author Margaret McBride. Hello, my dear Friends, welcome to my Monday Blog! 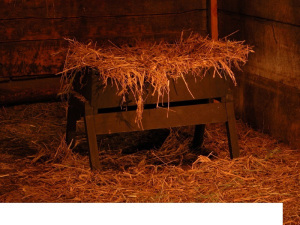 Today is a very special blog for me because it’s about the reason for the Season—JESUS!! Let’s start with babies and how they can change… EVERYTHING…literally! If you’re a parent, then you know this full-well; however, even if you’re not a parent, you know someone—a loved one, a friend, a neighbor, who is…right? So when a baby enters the world, no matter whose baby it is, this baby will cause huge changes in the lives of all those who love this baby. A BABY is a miracle…period. Just think, YOU WERE A BABY—YOU were a miracle to those who loved you! Amen!! This entry was posted in Uncategorized on December 19, 2016 by Author Margaret McBride. It’s Monday Blog time, my Friends—Welcome!! I read this recently and it caused me to think about my own gift of Life. As you know, I share very personal experiences here with you on my blog and just for the record, I’m certain I’m the true benefactor and end-user of the message each week. See, that’s what God can do for us. If you want to be “happy” be a God-Lover. By that I simply mean make peace in your heart by knowing and living in the light of our Lord and Savior, Jesus Christ. When we do this, He will take you places you never dreamed of. He will bless you in the ways you may not even know you need to be blessed…that’s because He always knows what’s best for us and exactly what we need —He also knows when we need it! I remember a time when I was about nine or ten years old…I was a serious “tom-boy” and there wasn’t a tree within ten miles that I couldn’t climb. The sole reason for climbing a tree, for me, anyway, was to get closer to heaven so I could talk to Jesus. I’d climb that tree and get up to my favorite spot on my favorite limb and just rest there, gazing up at the sky and then begin my conversations with God…Oh, I’d tell him all about my day, my dreams, my hopes, my fears, the new shoes I wanted…you name it, we talked and talked…well, I talked, He listened. I learned way back then what a great listener God is. Oh my! God expects me to share my personal experiences with you for one purpose…and that is to lift you up to…Him…to share His goodness, His love, His power, His greatness…that should you not know Him, you might come to know Him. I’ve learned a lot by knowing and loving God…well, that’s an understatement, however, among the first things I learned from God is that we must love ourselves. Many of us don’t even realize that we don’t love ourselves—fully. This is actually critical. Scripture never commands us to love ourselves; it assumes we already do; if we don’t however, we could end up in a sad state of heart. The Happy Truth is what we experience when we truly love ourselves, in an honest and healthy way. Now when I say “love ourselves” that is not to imply self-ish love. In fact, in our unregenerate condition we may often love ourselves too much and that is never what God intended and we can get into a lot of trouble that way—which brings me to the root-cause of not being able to love ourselves in a healthy way, so as to be a whole, loving and honest human being. It is this kind of self-love that causes us to be able to both give love and receive love. The Sad Truth is when someone is so down on themselves for various reasons that they simply cannot forgive themselves for whatever it is that has brought them to this sad state in their lives…they ask the person to forgive them, they ask God to forgive them, but they cannot forgive themselves. These folks remind me of “the walking dead.” Who are we not to forgive – Anybody, Everybody, including Ourselves?! Sometimes we may not even realize this self-loathing is going on…we’re so busy doing, we aren’t being. If we’re doing wrong, then we’re not being right. Plus, long-term unhappiness can most certainly produce the inability to achieve or accomplish our true purpose in this Life. You know, when we are unable to forgive…no matter who/whom it is we need to forgive, our loving hearts cannot do the job they were meant to do. What is the heart supposed to do anyway? BEAT, LOVE & FORGIVE. Amen! My prayer for all of us this week is that we’ll pray about those who may be living in a state of unhappiness because they cannot get to their Happy Truth – they’re carrying around this Life-sucking grudge against themselves and cannot forgive themselves— Obviously they have forgotten how much God loves them, so if we have the opportunity, let’s take it and remind them. GOD is Great! GOD is Good!! Always!!! This entry was posted in Uncategorized on December 13, 2016 by Author Margaret McBride. It’s Monday Blog time, my friends…WELCOME!! OK, it’s exactly twenty days from the day we celebrate Christmas…Jesus’ birth!! Is there a better time than now for us all to consider where we would be right now, without His miraculous birth? Now is also the best time to think about where we are and where we’re headed—as we live our gift of Life, because of Him. What if we would just Focus On Jesus? If we put Jesus first in all we do, what would happen? When I think about His birth and the unthinkable burden He was to carry from that moment on, it breaks my heart and makes me cry. Where was His focus? His focus was on US—each and every one of us—every day of His precious Life! What a colossal burden!! So what if we focus on Him, not just at Christmas, but every day of our precious lives? Do we bear good fruit for Christ? Or, do we spend our time, talent and treasure constantly acquiring more toys, clutter and junk? Our time, our talent and our treasure are gifts that God has given us. What we do with them is our gift back to God. What gifts are we planning to give to the Lord during this upcoming Christmas season? Maybe this Christmas is the perfect time for us all to truly focus on our Savior, Jesus Christ. Since we can’t wrap a present up and put it under the tree, how about we give Him the only thing He’s ever wanted from us…our HEARTS…FOREVER, and not just when we need Him to perform another miracle for us…HE is the miracle!! CHOICES, CHANCES, CHANGES: We must make a Choice to take a Chance or our lives will never Change. At eleven years old, I had a Choice, I took a Chance on Jesus and my life Changed— That was the day I realized what a gift Jesus had given me—That gift was His love and forgiveness. I love Him so much, I owe Him so much and I hope you will be blessed in the ways only He can…for He can do anything. He saved a sinner like me. AMEN! My prayer this week, is that we’ll all focus on Jesus and how we might show him how much we love and adore Him…maybe each morning, this week when we open our eyes, we could start our new day with a simple heart-felt “Thank You“. This entry was posted in Uncategorized on December 6, 2016 by Author Margaret McBride.